The Öffentliche Bibliothek der Universität Basel (UB) is an academic information centre for the university and for the region of Basel and, at the same time, the County Library for the canton Basel-Stadt. In its capacity as the central library for the university, its holdings cover all the disciplines studied at the UB and, as the county library, all publications pertaining to Basel. First mentioned in 1471, thus making it the oldest secular library in Switzerland, the university library holds extensive historical material encompassing manuscripts, early prints, music, maps and portraits. There is also a collection of estates of private papers, predominantly those of scholars, writers and composers, which has been particularly strongly developed since the nineteenth century. 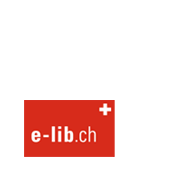 The UB Basel will present a selection of manuscripts and archive material from its historical collections on e-manuscripta.ch.